Ollie is a stray that was found on Grant Road in Harrison. Ollie is an adult dog that weighs 41 lbs. Ollie is very sweet and loves attention and lots of treats. When Ollie was found she wasn’t wearing a collar and had no identification on her. For more information, call the Clare County Animal Shelter at (989) 539-3221. 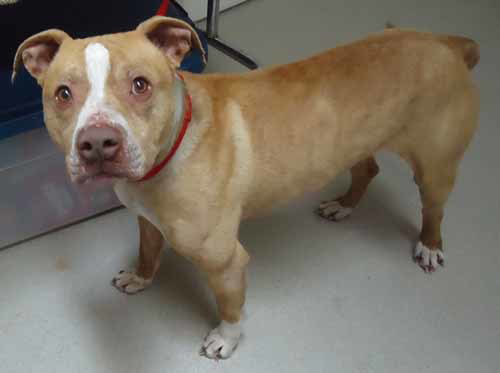 URGENT — Tyson is an owner surrender that needs to find a home. 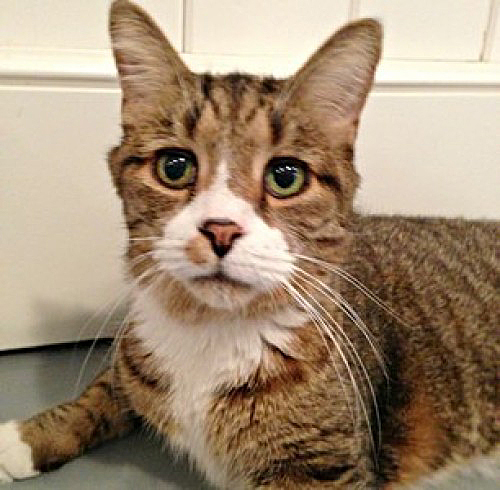 Tyson ended up at the shelter because his owner couldn’t afford to take care of him. Tyson is 7 yrs young and weighs 59 lbs. He is available for immediate adoption. Tyson has been at the shelter a very long time. He’s managed to last this long because he’s such a good boy but his time is running out. Please find it in your heart to save this wonderful boy. For more information, call the Clare County Animal Shelter at (989) 539-3221. My name is Gracie. I am 8 years of age and about 50 pounds. I am already spayed and housebroken! My family could no longer keep me so I am hoping to find a new home. 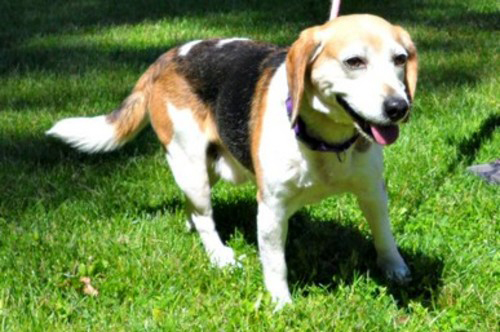 I am a very sweet girl and I love playing with the other dogs at the shelter. 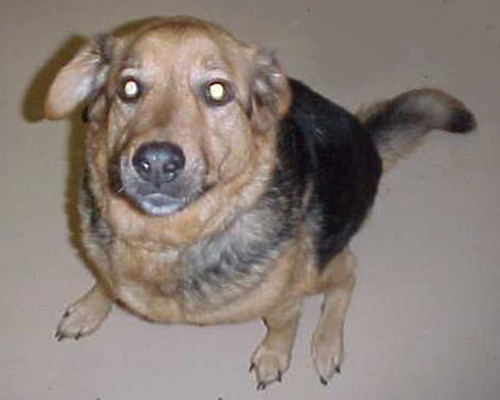 If you are interested, contact the Gladwin County Animal Shelter at (989) 426-4579. My name is Koby. My family no longer wanted me so I am here at the shelter looking for a new home. I am 2 years of age and about 50 pounds. I am a very sweet and loving boy but I will need a special home. I am very shy and scared around men when I first meet them. I will come right up to a woman. I love to play ball outside and I will bring the ball right back to you and drop it at your feet. I am already housebroken and never have had any accidents in my kennel. I know how to sit too! 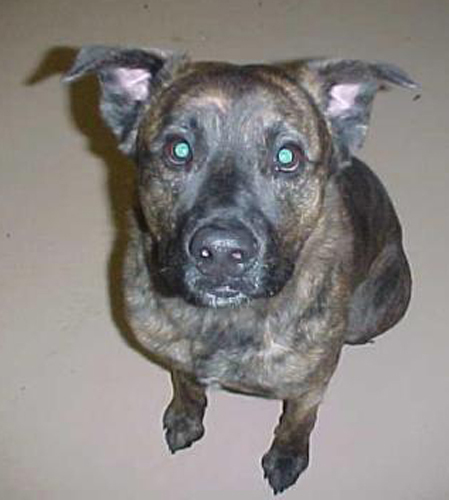 If you are interested, contact the Gladwin County Animal Shelter at (989) 426-4579. 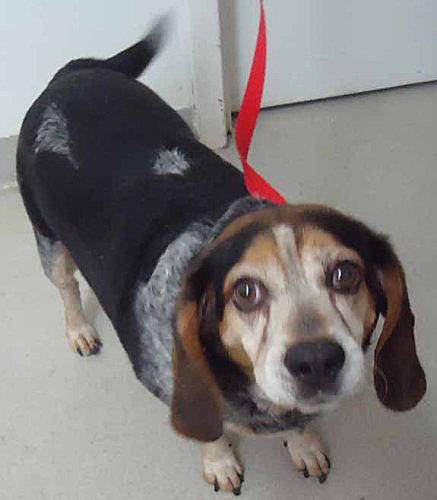 Randolf is a medium-size adult male Beagle mix. All dogs are spayed/neutered, tested for heartworm, given a rabies vaccine, canine distemper vaccine, bordetella vaccine, advantage multi (prevents fleas, worms, heartworm). We also microchip all our dogs and provide you with a starter bag of food. For more information, call H.A.T.S. at (989) 773-9721 or visit them online at www.hatsweb.org. Gail is a medium-size adult male domestic short hair. He is an incredibly sweet soul with a handsome face to match. He is currently in a foster home. All cats are spayed/neutered, FIV/FELV/HW triple tested, given a rabies vaccine, feline RCCP vaccine, advantage multi (prevents fleas, worms, earmites). We also microchip all our cats and provide you with a starter bag of food. For more information, call H.A.T.S. at (989) 773-9721 or visit them online at www.hatsweb.org.